Planning a solo surf mission? Our bunk room is where it’s at! The bunk room sleeps a total of 8 people and honestly we think this is the funnest room at The Nomadic. If your into meeting new adventure seeking buds this is the spot for you. The Cozy Queen boasts all the same features as our standard queen minus the private courtyard and the teak ceiling. However this room is just as comfy and is all you need to return to after a day of non stop surf sessions. The Jungle View boats a covered porch facing our protected reserve. While most of our rooms could be considered handicap accessible this one is easily adaptive featuring a larger roll in shower, handheld shower faucet and reachable features. The Queen Room is as spacious and cozy as it gets. Not quite as big as a king, but perfect for 1 or 2 people who want to keep things close. El Cuarto Rey is literally fit for a king. Taking note from the local Guanacaste artisans we outfitted this room with custom chevron inspired king beds. Whatever your adventure entailed you can rest assured this room is the recharge needed for the following day. Dual Queen can sleep up to 4 people whether you have 2 couples, 4 amigos, 3 amigos this room is big enough to accommodate small groups not wanting to split into 2 different rooms. The Nest is our best room on the property. This apartment is best suited for a couple. Equipped with a private living space, kitchen and balcony, this apartment is the ultimate little spot to rest your bones after long days of surf. You travel to experience, connect, open your mind, grow, laugh, and explore. We’ve created a space for all you adventurous soul surfers and life livers that makes all that easy. We serve a selection of healthy dishes rotating daily to get you fueled up and ready to hit the surf. Breakfast is served from 7:30 to 9:30 sharp. All meals are served with fresh fruit, natural juice, coffee and tea. Pancakes served your way with bananas or chocolate chips or both. Fried egg, fresh corn tortilla, rice, and plantain. Scrambled eggs, gallo pinto, sweet plantain, fried and fried farmers cheese. Scrambled eggs, herb skillet potatoes, farmers cheese and fresh salsa. With it’s consistent year round waves it’s no wonder why Playa Guiones has made a name for itself as a swell magnet. There are literally waves to be had 365 days of the year. Guiones has something to offer every type of surfer from beginner up to advanced. Even on big days Guiones doesn’t serve up the beat down you’d expect on hollower waves. Depending on tide Guiones can offer anything from mellow drop in’s mixed with long trimming walls to faster take offs with walled up hit the lip sections. Everyone can surf here stoked! Looking for something a bit juicer there’s a plethora of hollower waves to the north and south if you’re anything like us and up to get of the beaten path. During the months of November through April you can expect hollowing off shore fun sized surf. From May to August expect swell size to increase as we start seeing more frequent south swells. Experience the trails and beaches of Nosara from a horse. Nothing rings more pure and true than the feeling of the sunset glow hitting your face from a top on these gentle giants. Ride under the mango trees with Monkeys playing above, cruise past the river and maybe spot a croc tanning on the banks. Get a birds eye view of the coastal beaches and our mountainous terrain by way of an ultralight plane. Soar above secluded beaches and get an overhead look at some super secret surf spots. This tour would be epic in the summer months December through March when you could get lucky and spot humpback whales migrating from California. The Nosara area offers world class spearfishing for intermediate to advanced divers. The inshore rock reefs are home to large Cubera Snappers, Amberjack, Blue Trevally and Sierra Mackerel. Off shore blue water diving offers chances to hunt Yellow Fin Tuna, Dorado and other Pelagic species. If you’re looking for a world class spearfishing adventure, the Nosara has everything you need. A short drive through Nosara village past a few soccer fields you”ll find our local gem of a waterfall, Malanoche. Pack a lunch and a couple cold Imperials for a nice afternoon. Remember to pack out your trash and ask a staff member for more specific directions. 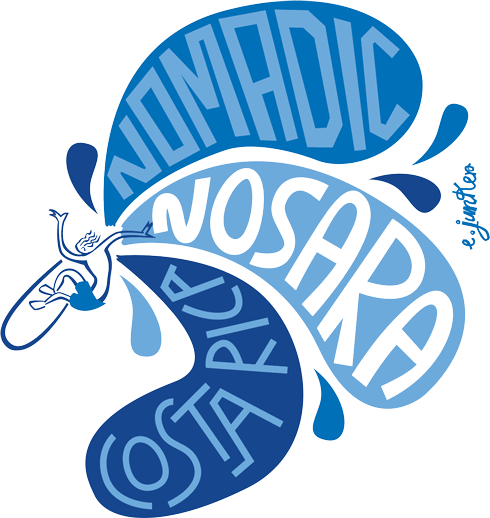 Every year SUPing becomes more popular among visitors and locals here in Nosara. Paddle boarding is a great way to get a workout in while taking in the scenic vistas our area has to offers. Do a mellow paddle along the Rio Montana and Rio Nosara through lush mangroves, great for wildlife viewing or paddle Garza Bay and beyond to secret beaches. Free diving, also known as breath hold diving, involves exploring the beauty of the underwater world on a single breath of air. It has become one of the fastest growing sports, with fully insured and certified standardized instruction available. Whether you’re interested in spearfishing, photography, marine interaction, competition diving or surf survival, free diving is a sport in which anybody in reasonably good heath can participate. Bobby Kim is an instructor certified through Freediving Instructors International. The largest free diving training agency is the US. His introductory course is Level 1 Freediver, he is also one of only two instructors certified to teach Level 3 Freediver in the Americas. He also teaches the Waterman Survival course which is popular with surfers and trains students to deal with emergency breath hold situations, such as multiple wave hold downs. Interested in becoming a badass waterman…Get in touch with Bobby! Costa Rica is known for its rich waters full of big game fish such as Marlin, Sailfish, Mahi-Mahi, Wahoo and Tuna. Due to its unique ocean floor you can get into 100 feet water right off the shore here in Nosara. Inshore there’s an abundance of fish ranging from Rooster, Big Cubers, Snapper, Corvina, Grouper, Jacks and Mackerels. Getting out on a boat is a great way to pass the time on those flat swell days.